Welcome to my blog! My name is Ed Campos Jr. I currently teach high school math at Visalia Charter Independent Study High School in Visalia, CA. I have a passion for teaching and travelling. Before I became a high school math teacher, I was a software programmer for 3 years. That job allowed me to travel throughout the U.S. and I have kept that love of travel going as a teacher. I definitely take advantage of having summers off and have recently been to Costa Rica, Peru, and South East Asia as part of a Global Exploration for Educators Organization teacher travel program. Traveling motivates me and I love using technology to document the experiences for my family, friends, and students. I try and bring as much of my experience back into my classroom to teach understanding and encourage global thinking to my high school students. I love hearing them talk about where they want to travel in their lifetimes. I also enjoy incorporating global themes into my lessons to engage my students. I also have a passion for technology and the environment it creates in our classrooms when we use it to innovate and engage our students. 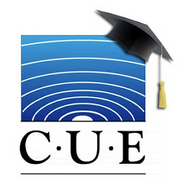 The past 2 years, I’ve attended many educational technology conferences by the International Society of Technology in Education(ISTE) and Computer Using Educators(CUE). It was after ISTE 2012, that I learned how to create a site using Google sites and used to blog for my Peru Trip and Thailand/Laos/Vietnam trip. I think that blogging is a great way to take your students, friends, and family along for the ride with you as you explore other countries. It can be very empowering. My goal for this blog is to share my passion for teaching, traveling, and technology with anyone who wants to listen. 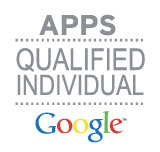 I want to use technology to bring the world into my classroom for my students to learn about. I want to connect my students to other students across the globe and utilize technology to collaborate with those classes on mutual projects. 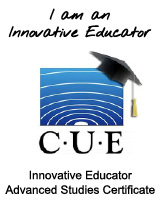 I’m currently finishing up the Fresno Pacific University/CUE Innovative Educator Advanced Studies Program where I have learned an abundance of ways to incorporate and innovate with technology in the classroom. I’m currently teaching with 4 iPads in my math classroom but my school is moving towards a 1:1 school environment where each student would have a chromebook and I will have a class set of iPads to use. As we move towards this goal of being a 1:1 school and transition to the new Common Core standards, I plan on documenting this process of transforming my classroom into a 1:1 ipad math class. I will share the successes and failures along the way. I plan on blogging on the innovation I’ll be using and even sharing screencasts of how to implement some of these things at other school sites. It’s a very exciting time to be in education and I plan on documenting everything. I believe by innovating with technology in the classroom and taking advantage of the global possibilities the technology enables, we can stretch our students vision of what’s possible and motivate them and inspire them to reach new heights. I want my students to have the 21st century skills needed to be successful in their careers and to have global awareness and understanding of this amazing world we live in. Please follow my blog if you are interested and I appreciate any feedback.